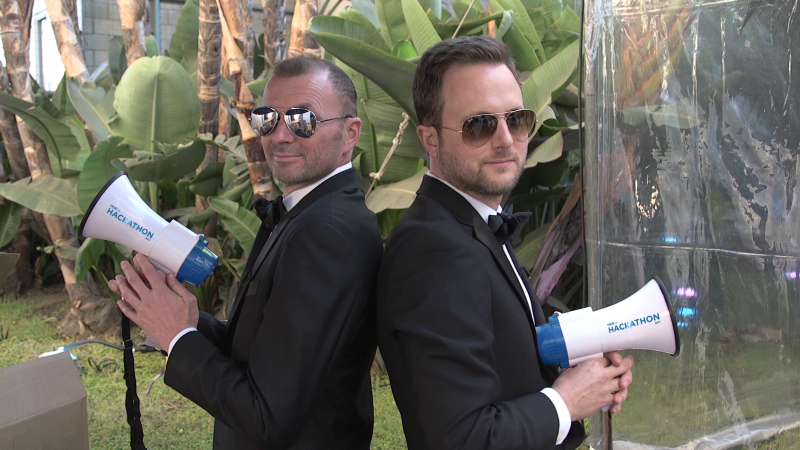 The first annual TrueCar Hack-a-Thon has come to a dramatic conclusion! What an amazing week. 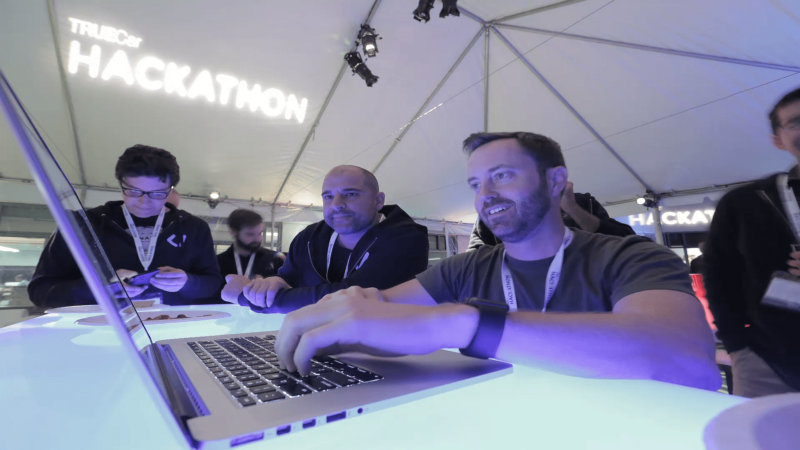 For those of you who don’t know, we had over 25 technology teams across our organization spend three days hacking on an idea they came up with, then competing against each other for the Hack-a-Thon Grand Prize for best overall idea and execution. Along with the Grand Prize, the team also got to live up to one of our core values at TrueCar, “Serve, Passionately.” The winner would be awarded $5000 to donate to the charity of their choice, so the teams were extremely motivated — not just for bragging rights for the year, but because they all felt a sense of responsibility and commitment to their charity of choice. Generally speaking, the ideas were tailored toward improving our business in some way, but that doesn’t do the ideas justice. I’ll explain a bit more about the ideas in a bit. But first, a little background. In March of this year, I had the idea to put on the Hack-a-Thon. I felt our team needed to get out of the box a bit and show the company — and the world — what a motivated group of technologists could do in just a couple of days. I’m surrounded by this amazing group of people every day, so I know what they’re capable of, but I felt like it was important to show how powerful and innovative our team actually is. The day-to-day of an engineering department is generally filled with programming and working with product on ideas to move the business forward… all very practical things, but we often lose sight of the fact that engineers are actually very creative. Their craft lends itself to solving problems and thinking about how to innovate, but many times when a company is focused on growing, pragmatism takes over at the expensive of creativity. So I wanted to let this team out of the box for a few days. Hence, the idea of the Hack-a-Thon. A small, but dedicated team got together to plan the logistics of the Hack-a-Thon. For six months they planned details like, “how would the teams form?”, “how would we give out awards?” and “who will hype up the event and how?” The team’s job was to coordinate and put on a great event. They far exceeded my expectations. As the days passed and the Hack-a-Thon approached, the team sharpened their pencils, fine-tuned the details, organized teams, ordered swag, and discussed award scenarios. Finally, it was upon us… I honestly didn’t know what to expect, but was I blown away. The ideas were off the charts — from onboarding new employees to building marketing automation tools to car buying via Alexa and Facebook messenger to building amazing engagement tools for dealers and car buyers. Every idea put forward was absolutely amazing and the execution of the ideas in two days was astounding. We had 25+ working projects at the end of the Hack-A-Thon. Projects that could have easily taken months were finished in two days. Most Creative — “The Matchmakers” — This team developed a mobile application that resembled Tinder for car buying. To help consumers who need assistance navigating which car to buy, a simple, yet fun app was built (in two days) to profile the users’ needs and help them navigate “Tinder-style” to the car of their dreams. TrueCar Business Value — “SideCar” — This team developed an enhancement to dealer CRM’s that would allow TrueCar data to overlay the Dealer’s CRM with rich information from the TrueCar world. Think Augmented Reality for Dealer CRM’s. This is directly and immediately useful to TrueCar as Dealer CRM’s are inherently limited in their ability to extend with rich data and by using SideCar, Dealers can have all the same data TrueCar has at their fingertips without having to leave their CRM. “Best use of TrueCar Technology” — “TrueSight” — This team built a testing platform that inspects user experiences with optical recognition and machine learning to detect changes that can’t be tested with normal testing techniques. It was built on AWS, Capsela (our internal technology platform) and our automated test infrastructure, “Otto”. Not only is this an amazing use of our technology, it also really moved the ball forward in our ability to deliver high quality products through test automation. 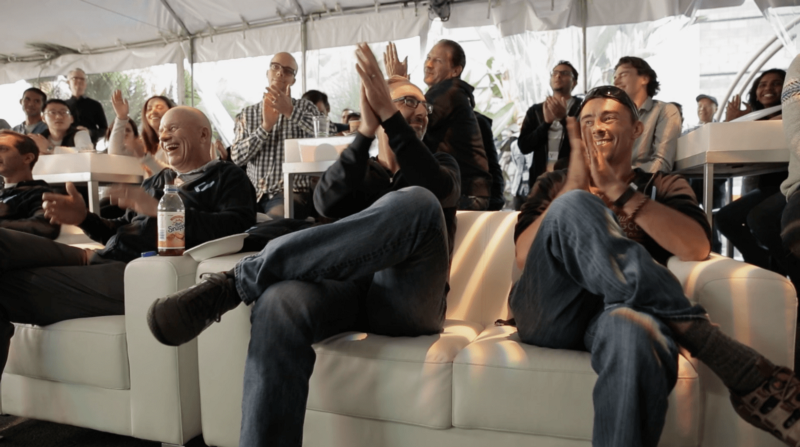 The “Grand Prize” was decided by a panel of TrueCar executives, including Chip Perry (our CEO), Neeraj Gunsagar (our CMO), Lucas Donat (our Chief Brand Officer), Nick Sarnoff (Head of Product Planning) and myself, Tommy McClung (CTO). Seven finalists presented their ideas to the panel and had to answer several difficult questions. These questions were not softballs. Very insightful, difficult questions were asked and the teams did their best to answer. After the presentations, the judges convened while the teams eagerly awaited the decision. In the end, the judges decided to award the Grand Price to two teams: ScreenZero and Float Like a Butterfly. ScreenZero — A transparency tool that allows dealers. Since this project has major implications for how dealers and consumers can interact, I’m not going to share all the details publicly, but let me tell you it has the ability to dramatically change how dealers and consumers share data and information during the online shopping experience. Float Like a Butterfly — Speed is king as far as consumer websites are concerned. In two days, this team found a unique way to decrease site speed by over 200%. This has major implications for SEO and conversion. The longer you make a user wait, the more likely they are to go somewhere else. By making this major improvement in our ability to render our sites at scale, Float Like a Butterfly dramatically moved our business forward. So here you have it — the Grand Prize winners. We will be making $5000 donations to A21 Foundation: http://www.a21.org/ on behalf of the ScreenZero team and No Kid Hungry www.nokidhungry.org on behalf of the Float Like a Butterfly team. Congrats! 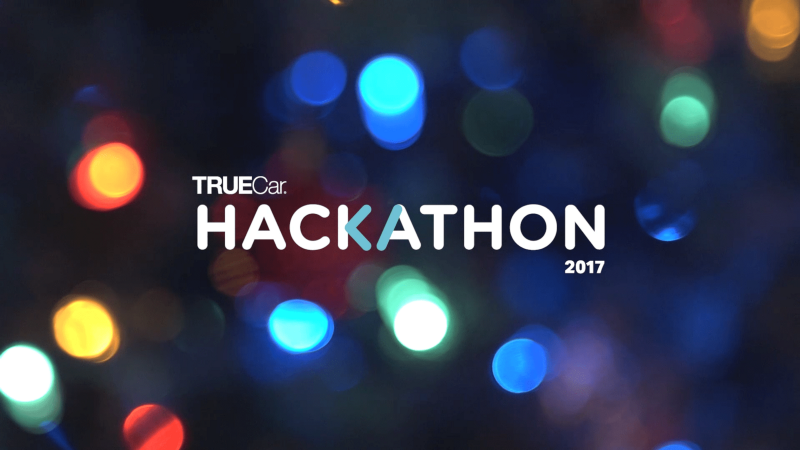 I couldn’t be more proud of this team and how invigorating the 2017 TrueCar Hack-A-Thon was. Congratulations to the winners and all of the participants for their amazing efforts. 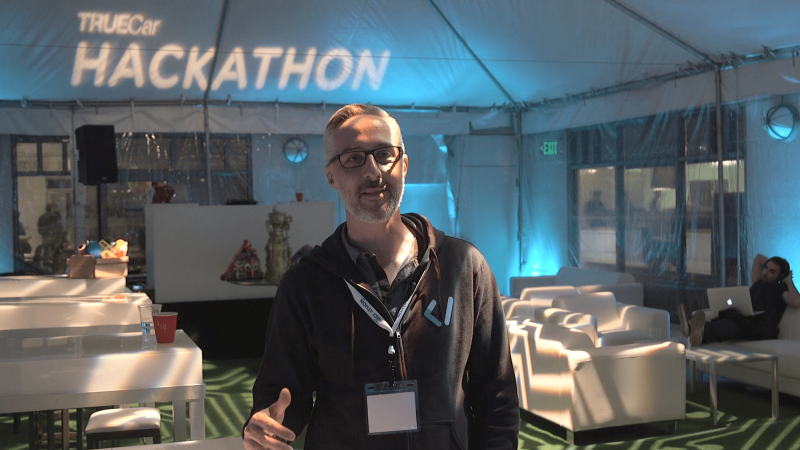 See you at next year’s TrueCar Hack-A-Thon!